Before we dive in, I want to let you know about my approach to nutrition and briefly touch on what you can expect with this guide. This is not a quick fix diet solution. This is a lifestyle change. I’m here to show you that you can have a lean physique without having to settle for cardboard-tasting ‘healthy’ foods. The key is stocking up on the right foods and making sure to have them available. You want to be prepared for any craving that strikes, and be one step ahead of the hunger pangs that may tempt you. So let’s check out some healthy staples to keep you on the right track. What Should You Be Cooking With? We’re all familiar with the quote by Benjamin Franklin: “If you fail to plan, you are planning to fail”. With busy schedules and long work days, we end up reaching for quick and easy food choices. But unfortunately, these aren’t always the healthiest for us. 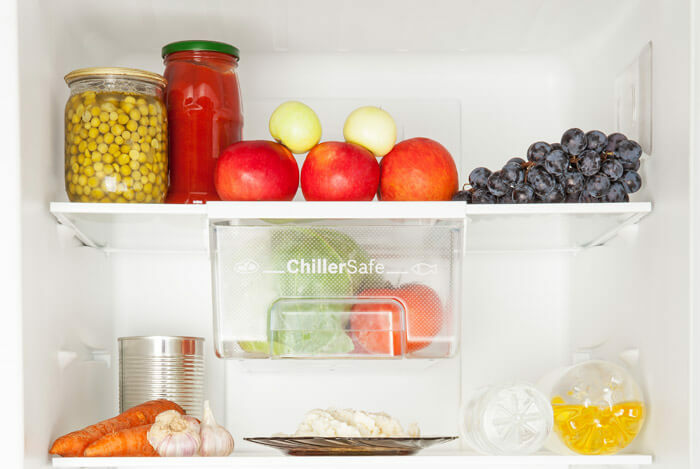 So we’ll talk about stocking your pantry, refrigerator, and freezer with healthy foods. This way, when you’re exhausted after a long day at work, instead of calling for unhealthy takeout, all you have to do is reach for a few items to whip up something great. 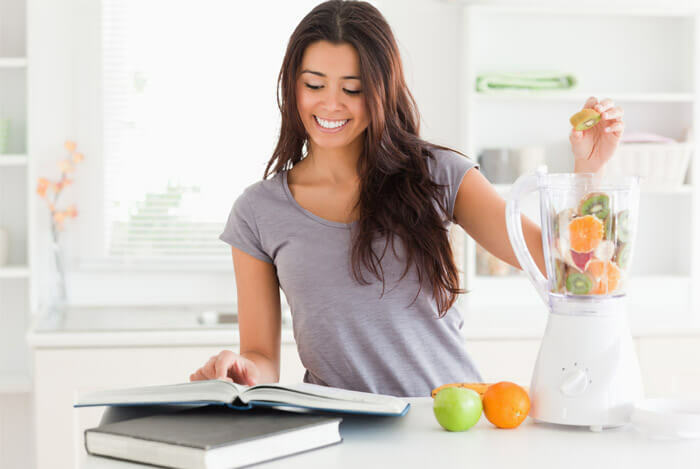 I keep these healthy foods on hand because you can come up with so many different nutritious meal options by mixing a few of them together in a pinch. Quinoa often intimidates people, but that shouldn’t be the case. If you can boil water, you can cook quinoa. 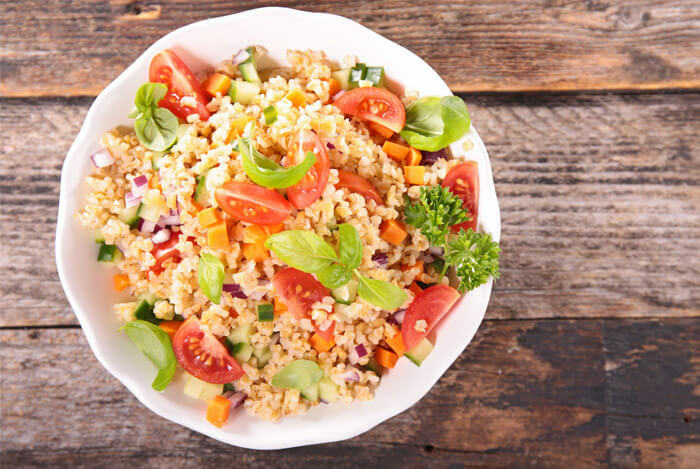 Quinoa is packed with iron, B vitamins, magnesium, phosphorus, potassium, calcium, vitamin E, and fiber. Plus, it’s a complete protein, which means that it has all nine essential amino acids your body needs, making it an excellent way to fuel your day. 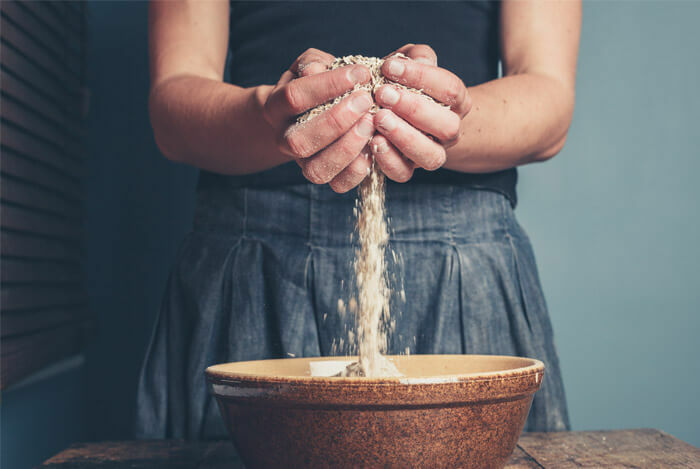 Another healthy, high-fiber grain to keep around that gives you similar benefits to quinoa is oatmeal. Not only are they cheap, but they’re also very nutritious. If you’re like me, you can’t give up your love of pasta. While many low carb diets forbid this wonderful food, I’m here to tell you the good news: you don’t have to. 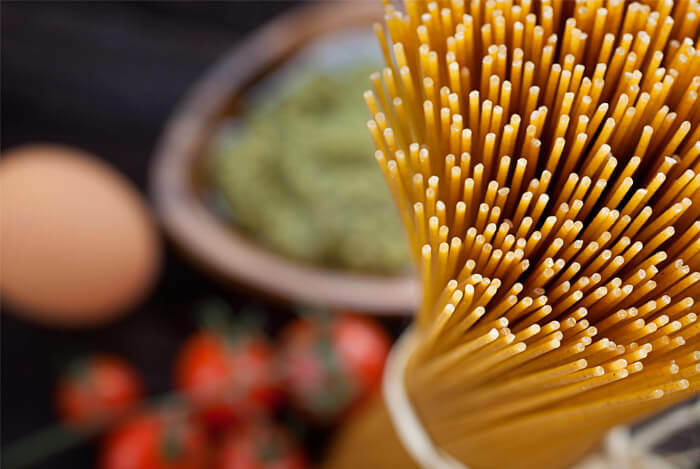 By switching to whole wheat pasta, you’ll still enjoy the texture and flavor of your beloved pasta, but you’ll have the benefits of whole grains as well. I always stock up on a variety of beans. I like to buy my beans dried, soak them overnight, and cook them up in batches before I use them. You may want to consider doing this to avoid the excess salt found in canned varieties. Don’t be afraid to try a few different varieties to see which ones you and your family prefer. 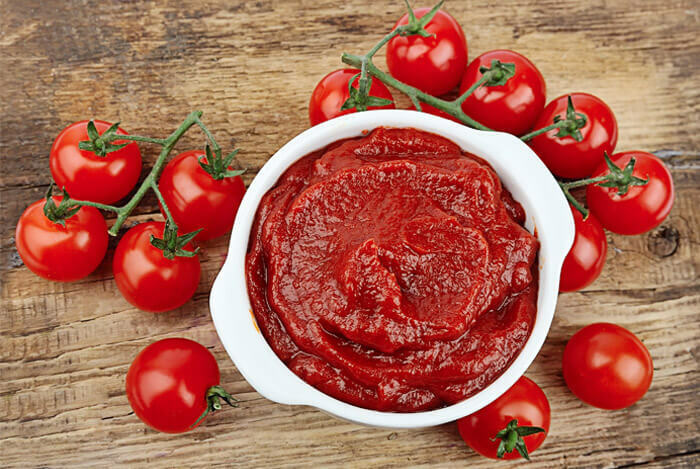 Canned tomatoes are a convenient and tasty pantry item that can be added to a variety of meals as a way to include more healthy liquids and veggies. I love using them in my homemade chili. On the other hand, tomato paste, a much more concentrated version of canned tomatoes adds a nice little flavor kick. I’ll use tomato paste whenever I need things to be a little thicker, like when I make stews and pasta sauces. Keep these items on hand to flavor your food in a healthier way. By doing this, you’ll never have that ‘eating healthy always tastes bland to me’ feeling. 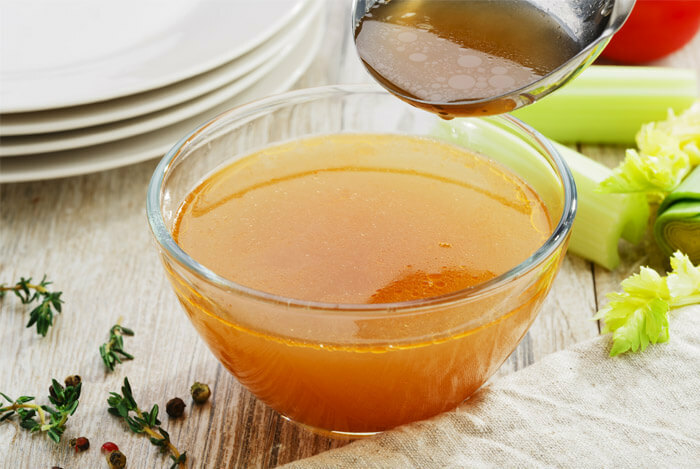 Since it adds a rich, yet low calorie flavor to dishes, low sodium chicken broth is another pantry item that should always be kept on hand. As a foundation for soups or as an addition to meals, broth is filling, easily digestible, and packed with minerals. In addition to keeping spices on hand, I cannot stress how important it is to keep nuts and nut butters available too. Nuts are loaded with fiber, protein, and essential healthy fats that your body needs to thrive. Plus, they make a perfect, portable snack. I like to keep raw or roasted nuts on hand to snack on during the day and keep me powering through. Don’t be scared to add them to overnight oats and salads for some crunch factor. As for nut butter, I like to eat a spoonful in between meetings or add a scoop to my protein and breakfast shakes. Don’t forget that nuts are still high in fat (good ones of course) so you want to make sure to watch your portion control here so you don’t go overboard. 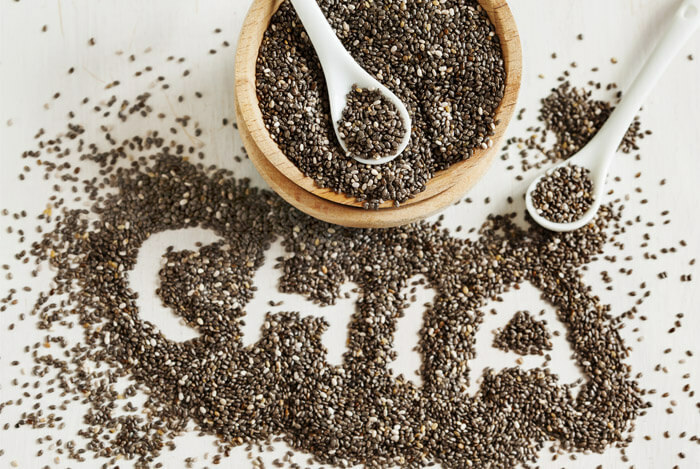 Similar to quinoa, I often find that people avoid chia seeds because they just don’t know enough about them. We talked about their health benefits in this article. 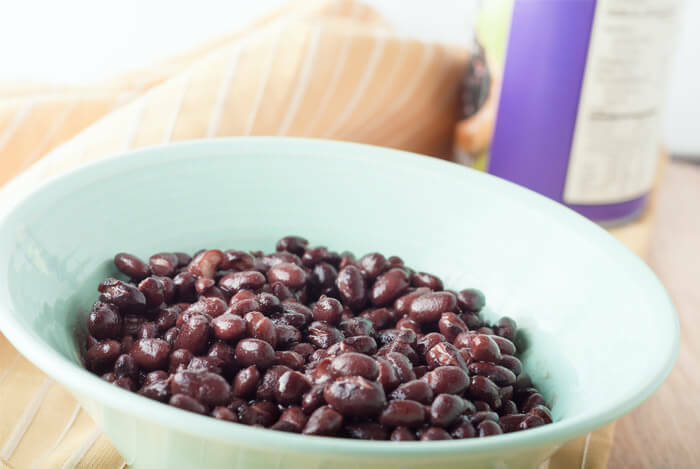 On top of those benefits, their protein and fiber content will also keep you feeling full and energized for hours, which is exactly what you need on your lean body quest. When you’re hungry, where’s the first place you check for something to eat? When you stand there with the door open trying to find something to appease your rumbling tummy, make sure you always see these healthy staples. 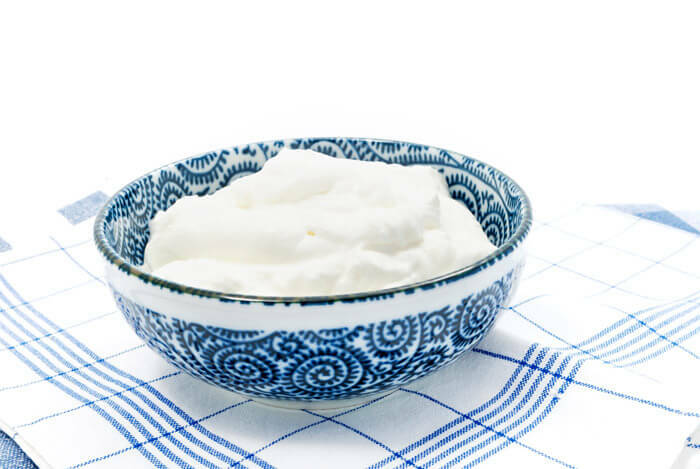 Greek yogurt has twice the amount of protein of typical yogurt and you can also use it as a healthy substitute when cooking. For example: I like to add Greek yogurt to my smoothies and I often use it as a sour cream replacement for my taco and homemade chili nights. You can even enjoy it as a yummy, healthy parfait for breakfast, dessert, or before you work out. 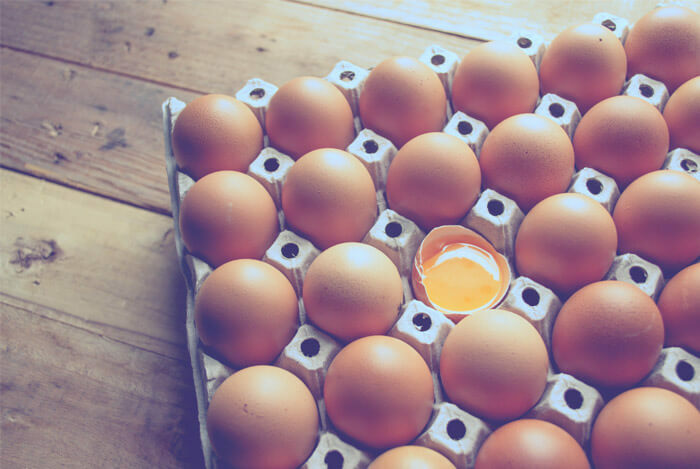 Don’t believe the cholesterol hype when it comes to eggs. These bad boys provide us with essential vitamins, minerals, and a healthy dose of protein. I recommend keeping eggs on hand at all times. Whether you’re eating them sunny-side up for breakfast, hard-boiled as an afternoon snack, or using them in a recipe, you’re always going to need these nutritious delights. 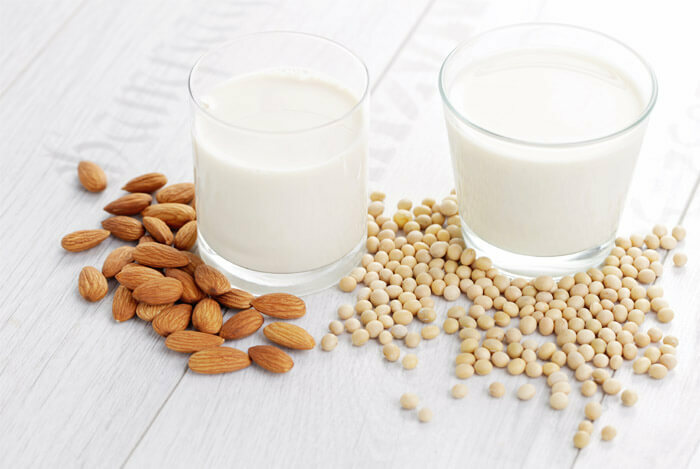 Depending on your lactose tolerance, I’d recommend keeping a low fat dairy milk or nondairy milk such as almond or soy in your fridge. Milks like these can provide you with calcium, choline, potassium, and vitamin D, which are all essential nutrients for our bodies to perform at their peak. 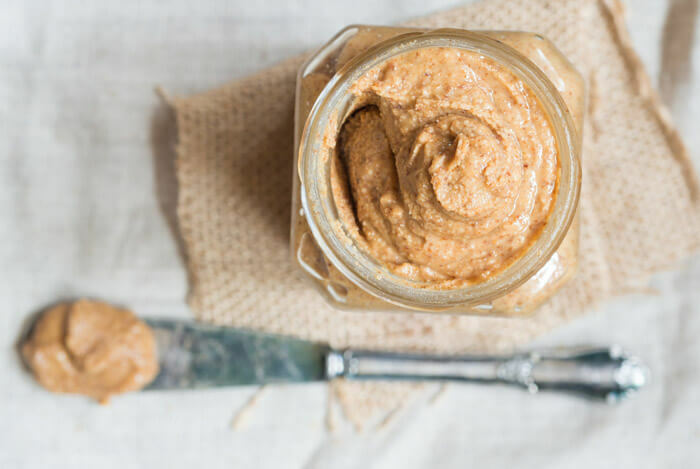 Mustard is a great mayo replacer and it’s sure to kick your flavor profiles up a notch. 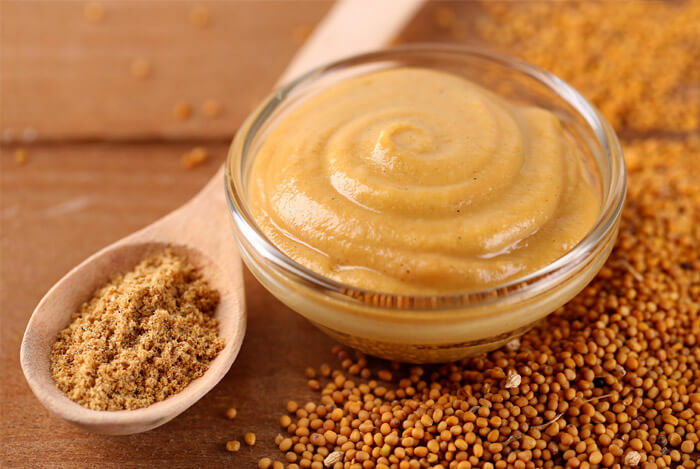 Avoid using sweet versions like honey mustard and stick to varieties such as spicy or plain mustard instead. These are low calorie options that are packed with antioxidants. 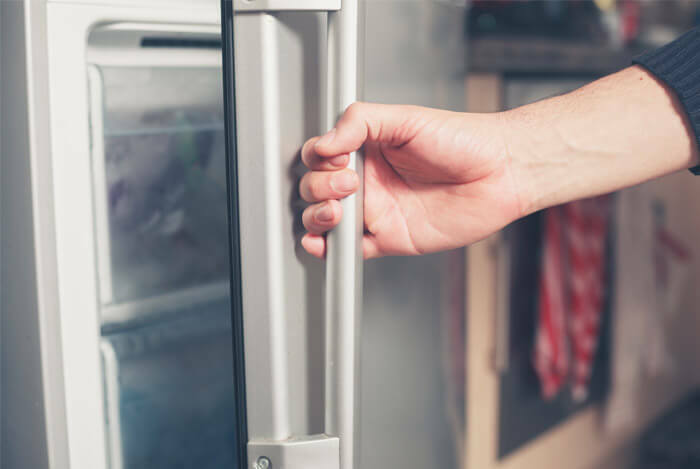 Now let’s move on to the best frozen foods to keep on hand. As long as you’re not buying frozen veggies in sauce and fruit in syrup, I’m all for them. These frozen staples are sometimes more affordable, and when you’re too busy to stop at the market after work they can be much more convenient than fresh options. 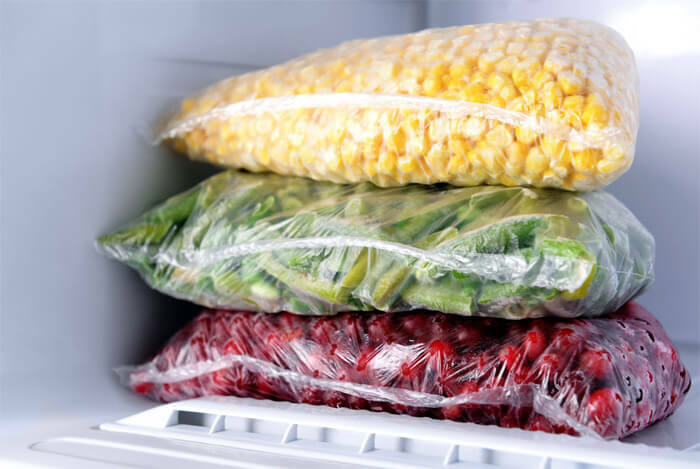 I like to keep at least one big bag of mixed vegetables and one bag of mixed berries in my freezer at all times. Both items can be added to recipes such as soups or smoothies, or to make quick, healthy sides and snacks. Frozen shrimp are a huge lifesaver when you’re strapped for time. 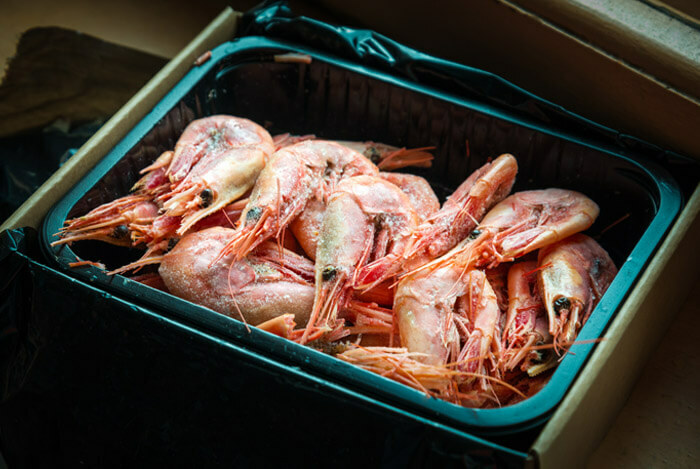 Because they’re so tiny, defrosting shrimp doesn’t take long. Plus, their versatile flavor makes them easy to use in a variety of meal options. And the best part: they’re incredibly healthy for you. I like to stock up on these whenever there’s a sale at my grocery store. This makes them much more affordable. 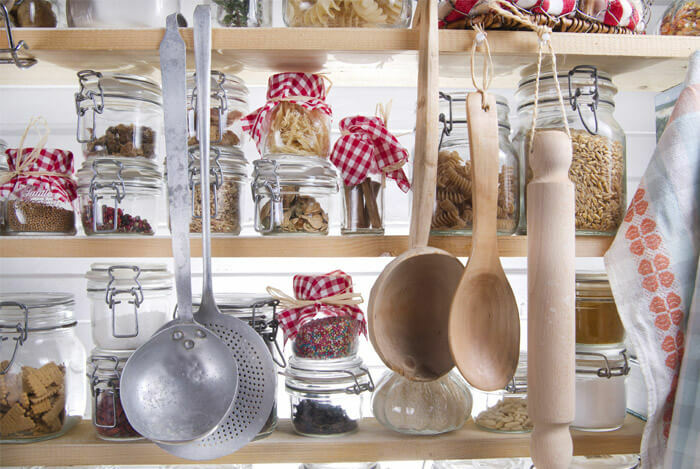 Go through your pantry to see what healthy staples you need to add from this list. 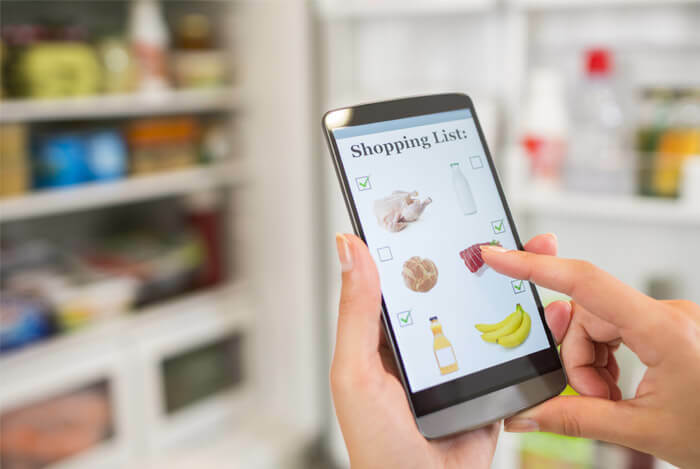 You don’t have to buy everything at once; try to use your grocery store advertisements or magazines to see what items are on sale this week. 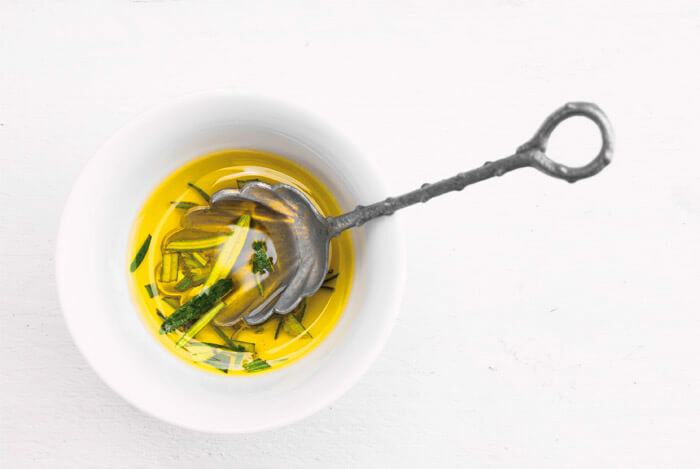 We talked about the healthiest oils to buy (and the worst oils to avoid) in this post, but the key takeaway here is that healthy oils are a must-have. 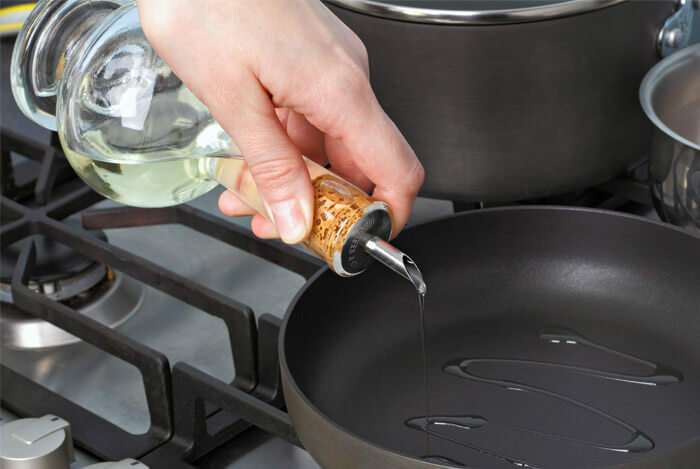 This next section is going to outline my favorite healthy cooking oils and my favorite pots and pans to use. When it comes to cooking, many people are taught to use butter to coat a pan and flavor food. That’s fine for some dishes, but it can get old. Instead, try oils such as extra virgin olive oil, avocado oil, or coconut oil for some more variety. Cooking with extra virgin olive oil gives you oil that’s full of healthy fats, and it tastes amazing to boot. 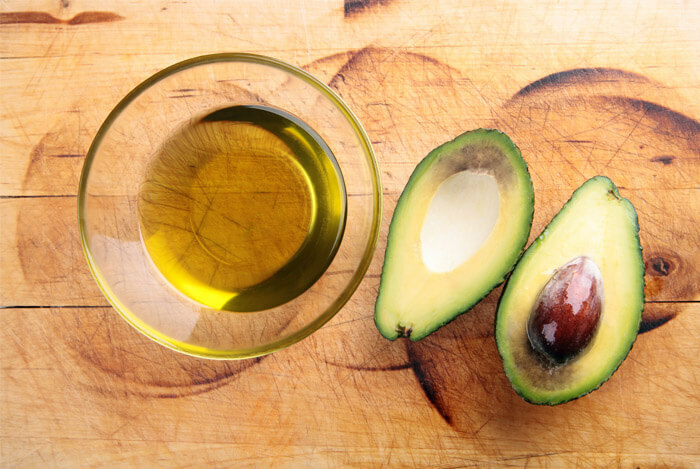 In this article, I showed you that avocado oil can be used as a swap for butter in baking as well as being a great egg substitute when coating foods in breadcrumbs. Avocado oil also makes for a fantastic grilling marinade or stir fry oil. The reality is, its versatile flavor makes it perfect for almost any meal. And if that wasn’t enough, avocado oil is also loaded with other essential nutrients that give you enough energy to power through your workouts and your day. 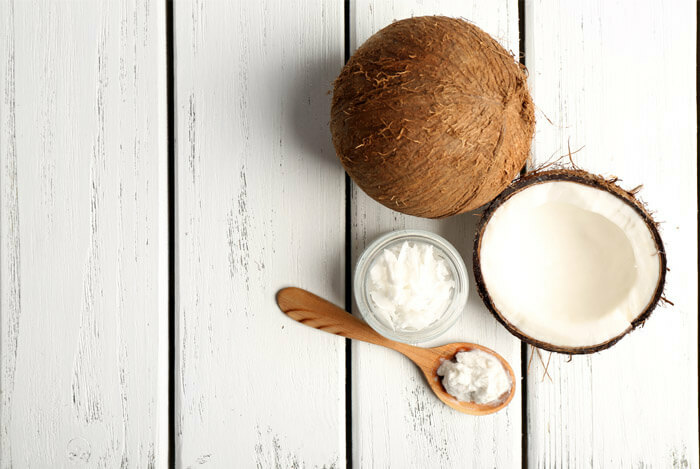 Last, but certainly not least, we have another favorite cooking oil of mine: coconut oil. Remember: too much of a good thing is not okay when it comes to these healthy oils. Moderation is still your best friend here. Yes, they’re high in good-for-you fats, but they can still rack up a hefty toll on your calorie consumption for the day, so you’ll want to take it easy with them. If you don’t have these oils, I recommend starting with extra virgin olive oil since it can be the least expensive out of the three. Try out a small bottle to see what a difference in flavor it makes. Once you’re ready, you can try out the other two. 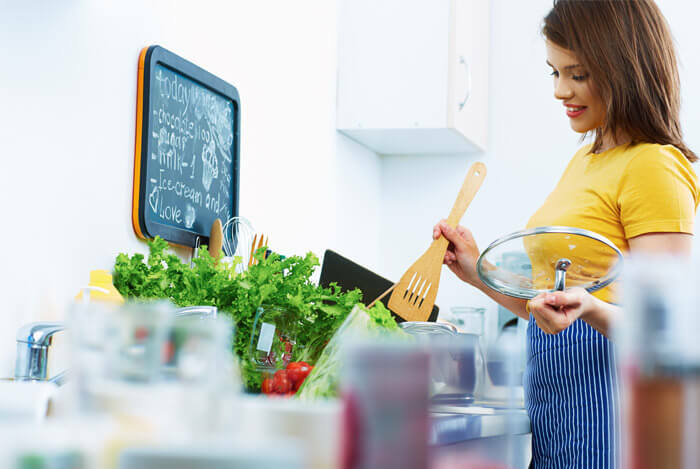 Now that we’ve covered all of that, I want to show you what a sample 3-day meal plan looks like using the healthy ingredients I’ve listed, plus some fresh ingredients. 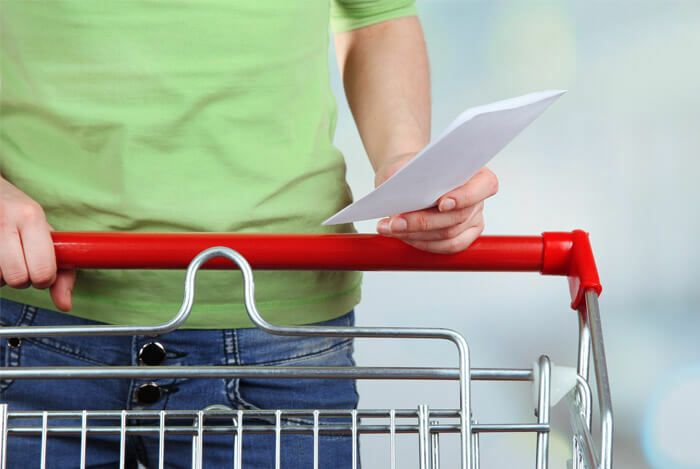 After the meal plans, you’ll also find a printable grocery shopping list to help you out. Breakfast: Greek yogurt & chia seed smoothie. Add ¼ cup of Greek yogurt, ¾ cup of milk, ¼ cup of water, 1 tbsp of chia seeds, and a handful of mixed berries to a blender and enjoy. Lunch: Quinoa, shrimp, and avocado salad. Using a base of spinach or kale, add a ¼ cup of quinoa, a handful of shrimp, and sliced avocados, tomatoes, and cucumbers (or any fresh veggies you have on hand). Drizzle olive oil and a dash of balsamic vinaigrette. Afternoon snack: Two hard-boiled eggs. Dinner: Bean chili. 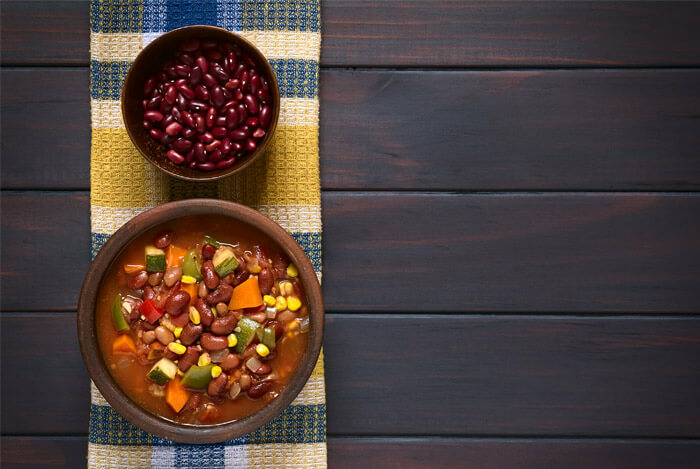 Add 1 cup of kidney beans (or black beans), 1 can of fire roasted diced tomatoes (do not drain the liquid), 1 cup of mixed veggies (defrost your frozen ones), 1 tbsp of tomato paste, ¼ tsp of cinnamon, ½ tsp of cayenne pepper (less if you don’t like things too spicy), 1 tsp of chili powder, and salt and pepper to taste, to a large or medium-sized cast iron pot. Bring to a boil and simmer on low heat until most of the liquid is gone. For those who don’t want to go meat-free, add in some cooked ground turkey meat before bringing the mix to a boil and let everything simmer together. Breakfast: Avocado, spinach, and egg omelette. Scramble up two to three eggs and pour into a lightly olive oiled cast iron pan to form your omelette base. Add ⅕ of an avocado cubed, fresh spinach, tomatoes, and your choice of feta or Swiss cheese. Enjoy with a slice of whole wheat toast on the side. Morning snack: Greek yogurt with a sprinkle of cinnamon, honey, and a small handful of nuts. Lunch: Pasta salad. Using a base of whole wheat pasta, add chickpeas, black or kalamata olives, cut up pieces of chicken, spinach, tomatoes, and a sprinkle of goat cheese. Drizzle with avocado oil and salt and pepper to taste. Enjoy cold or warmed up. 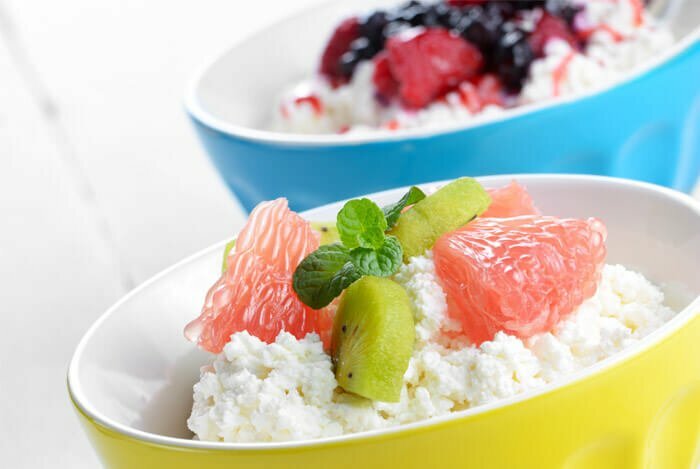 Afternoon snack: 1 serving of fresh fruit and low fat cottage cheese. Dinner: Homemade soup. Using a base of chicken or veggie broth (how much you use depends on how much you’d like to eat), add in ¼ cup of quinoa and a cup of mixed veggies. 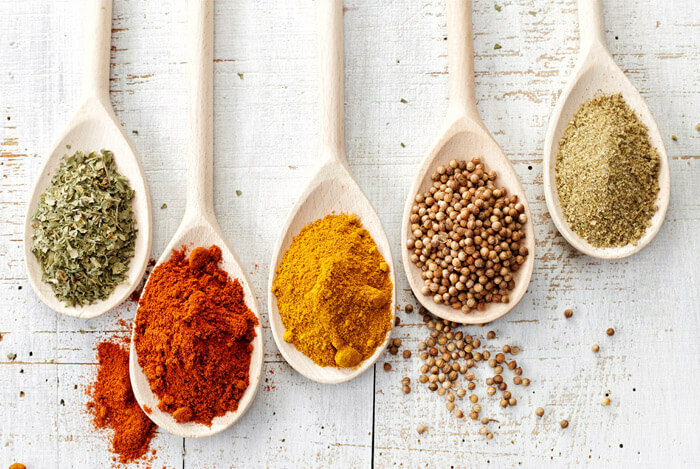 Season using a dash of salt and pepper and your favorite spices such as cumin, ginger, rosemary, or oregano. Don’t be afraid to mix spices since this soup is essentially an open canvas for you to play with. Breakfast: Banana, walnut, and chia seed overnight oats. Prepare the night before so all you have to do is grab and go. I like to add a sprinkle of cinnamon and a drizzle of pure maple syrup to bring out the flavors of everything even more. Morning snack: One sliced apple and a spoonful of nut butter. Lunch: Avocado and turkey sandwich. Using two slices of whole wheat bread, add a slice of Swiss cheese, 3-4 small slices of avocado, 2-3 slices of fresh turkey, romaine lettuce or kale, tomato, and a drizzle of mustard. 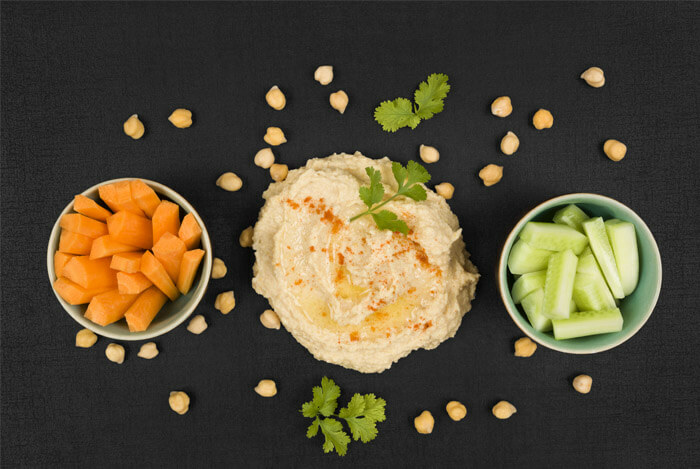 Afternoon snack: Hummus with slices of fresh cucumber, peppers, or carrot. Dinner: Sauteed halibut and mixed veggies in a dash of coconut oil. Using your cast iron pan, sauté your halibut first and then add in mixed veggies. I like to season my halibut with salt and pepper and a mix of cinnamon and cumin or cayenne pepper only. You can always swap out ingredients for flavors you don’t like and customize them to suit your dietary needs. The idea is to have these options on hand when you’re strapped for time so you’re not tempted by the drive-thru window. Once you start making these healthy meals consistently, they will become second nature in no time. 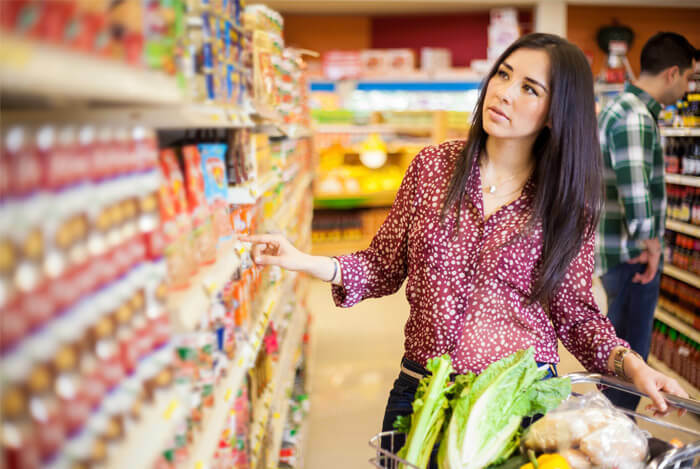 Here’s a sample grocery list to get you started on your journey towards a lean body. Now, you don’t have to purchase everything all at once. If you try to tackle this in one shot, you might end up feeling overwhelmed; I encourage you to start a little at a time and work on rebuilding your pantry, fridge, and freezer gradually. This list also includes everything you’ll need to prepare the healthy meals I’ve listed in my 3-day meal plan. The idea behind this plan is simple: eat the healthy foods to fuel your body in the best, healthiest way possible. What’s your take on these kitchen secrets? Have anything else to share? Let me know in the comments below!